author of Ents, Elves, and Eriador: The Environmental Vision of J.R.R. Tolkien and Downstream: Reflections on Brook Trout, Fly Fishing, and the Waters of Appalachia. In case you missed it, no, that's not Matthew Dickerson auctioning off his fly fishing gear. He's probably making a point about what rivers are like in Tolkien's Middle Earth or Lewis's Narnia. Our event began with his thoughtful, moving, and imaginative case for caring for our waterways. Q&A followed, of course, and after that, a few of us had drinks of cider. The next morning, ten of us enjoyed breakfast at The Row House headquarters and drove off to Hammer Creek, north of Lititz. We dug up some water bugs, learned about the history of the stream from local guide Andy Styer, and ventured on a nice hike. Ah, Pennsylvania autumns! This is Row House at its best: Time and space to engage our current culture with ancient faith through all five senses. And a not-too-shabby present ta-boot. Join us soon! Our Curator, Tom Becker, explains what's up for our November Forum with Dr. Matthew Dickerson. Why this topic now? Because our Curator, Tom, grew up next to the Susquehanna River, and he wants all of us to appreciate this amazing body of water. Throughout Pennsylvania's history, this moving ecosystem has sustained life yet has been exploited, neglected, and forgotten. A return to water stewardship is a blessing for all of us and a sign that we are flourishing humans (and not simply consumers of nature). 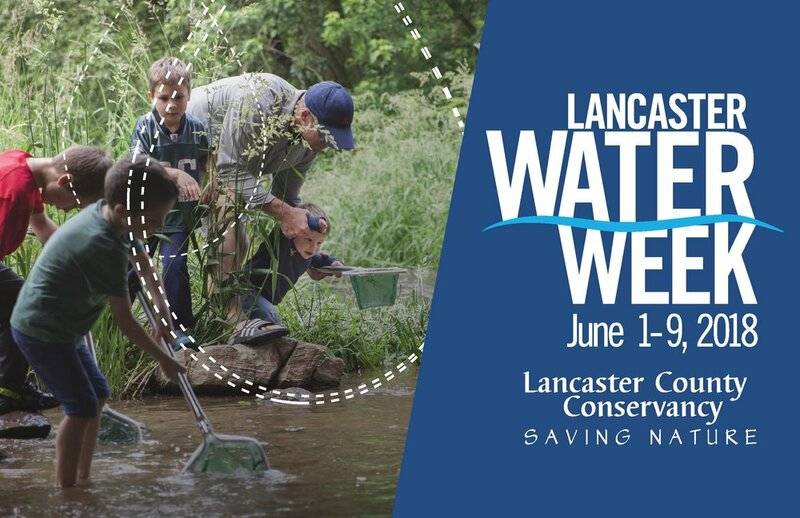 We are grateful for the partnership of the Lancaster Nature Conservancy's Water Week. To learn about how to sponsor on of our Forums, go here. Our friends at The Rabbit & Dragonfly Cafe will be open for business, so bring your appetite for Square One Coffee, all manner of Middle Earth light fare, and many drinks besides.